The worth of a business can easily be summed up by the character and effectiveness of its leadership. Without strong, effective leadership, any brand in any industry will find itself in a vulnerable position with clients and against competitors. In the field of marketing in particular, a careful balance between strong leadership and necessary autonomy must exist in order to generate success. As such, it takes a special type of leader to ensure long-term success and viability in this industry. Pan Atlantic review leadership qualities in the run-up to a prime industry awards ceremony in which it will be featured. Pan Atlantic is quite proud of its leadership being recognized at this industry awards ceremony in a big way. Director, Justin Cobb, will be a guest speaker at the event, which is an honour for the company as it continues to expand on both sides of the Atlantic. In particular, Justin Cobb was invited to bring clarity to a major issue that many firms in the marketing industry face: effective leadership styles and qualities. For those who work in the field of marketing, it is aptly understood why leadership qualities – even in a decentralised power structure – are vital to long-term success. “A team will always emulate the approach and characteristics of its leader”, Justin Cobb was quoted as saying. “If you run head-first at a problem with strong solutions and an attitude to match, then your employees will follow in your footsteps. If you operate as a laid-back executive, only engaging when absolutely necessary, then your team will adopt a similar approach”. Leadership is quite literally responsible for leading others and setting examples, so it is no wonder that a brand’s approach with its clients and in the industry is determined by the qualities of its leaders. 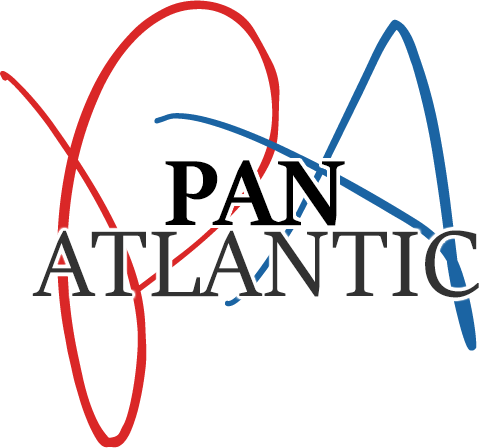 Pan Atlantic has embodied the traits of its Managing Director, Justin Cobb, in that it brings a resilient and dedicated approach to all of its goals and challenges. From the acquisition of big-name clients to the expansion of its brand into new markets, the company has weathered the storm and persevered in a variety of ways that would not have been possible without strong leadership. By emulating the behaviour that is expected from employees, companies like Pan Atlantic continue to excel in the industry and are recognized regularly for their accomplishments. Leaders truly set the tone for future success or failure, which is why all leaders must carefully look inward when assessing the health of their own brands.